Large sections of the reef are dead. The reef has been remarkably resilient over the last 8000 years, weathering devastating outbreaks of voracious crown-of-thorns starfish, pollution, fishing and coral bleaching. The establishment of the Great Barrier Reef Marine Park Authority no doubt contributed to that resilience, reducing impacts from some of these threats, especially land-based pollution and fishing pressure. Recent research by EDF and others shows that managing fisheries is crucial for maintaining healthy coral reefs. Plans for saving what’s left of the reef are being developed. The Queensland government has agreed in principle to all of the recommendations of a task force, including measures to cut sediment runoff in half and nutrient pollution by 70%. 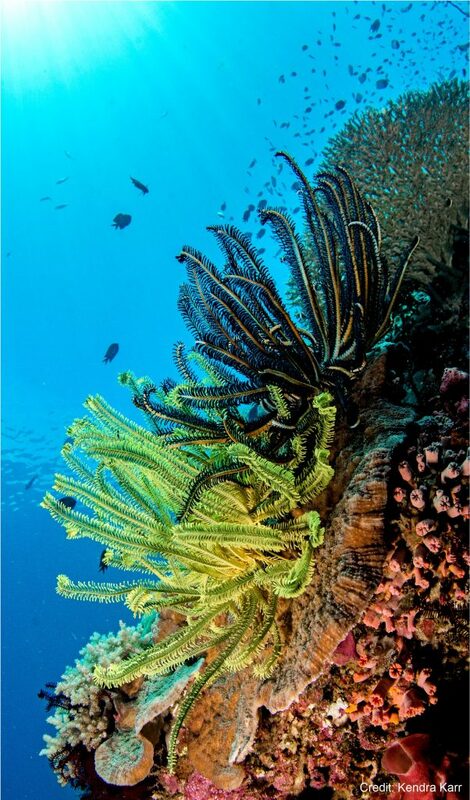 Sediments and nutrients are among the most damaging threats to coral reefs, which need clear water to soak up enough sun to feed the tiny symbiotic algae that power reef growth. It turns out that this will cost about 10 times what the government has been spending on such efforts. The cost of saving coral reefs and the probability that the world will lose this unique and wonderful ecosystem increased dramatically because the warning signs were ignored. A small group of scientists claimed over 30 years ago that coral reefs would die unless greenhouse gas concentrations decreased dramatically, but they were dismissed as alarmists. While attention is now focused on the death of large swaths of the Great Barrier Reef, coral reefs have probably always bleached to some extent. Bleaching is often associated with local events, like sudden flows of freshwater, silt or pollution. But starting in the 1980’s, a different pattern started to emerge, in which many coral reefs would bleach at about the same time in disparate locations around the globe, even in locations relatively free of human influence. In the early 1990’s, coral reef ecologist Thomas Goreau and his colleague Ray Hayes showed that global warming was increasing the frequency and number of ocean hot spots, which — when they overlapped with coral reefs –were associated with coral bleaching. They concluded that mass coral bleaching events, observed around the world, were probably caused by global warming. I worked with several colleagues, including Dr. Goreau and Mark Epstein, then with Environmental Defense Fund, to sound this warning in the US, at the United Nations and at scientific conferences. We pointed out that some corals had already died after bleaching events in the 1980’s and 1990’s but that most were able to recover. However, we predicted that if global warming continued apace, more frequent bleaching events would allow less time for recovery and result in more coral death. And since climate change would likely result in warmer ocean temperatures and more prolonged exposure to warm water, we predicted that coral mortality would be even more extensive. This is exactly what appears to be happening to the Great Barrier Reef. It was resilient enough to recover from bleaching events that occurred a few years apart, but apparently not resilient enough to recover from back-to-back bleaching events. We were roundly criticized as “false Cassandras” by the scientific establishment at the time, many of whose members were convinced that bleaching was caused by local factors only. Perhaps this facilitated the failure of policymakers to take strong actions to prevent mass coral bleaching and reef death. There are always many reasons to stay the course in order to avoid short term costs. And when scientific conventional wisdom is arrayed against a few scientists who are calling for preventive action, it makes inaction even easier. And as we are seeing today, even when scientific conventional wisdom – indeed, near unanimous scientific consensus – swings toward a view that corrective action to reduce the pace and extent of climate change is imperative, forces upholding the status quo can continue to hold sway. Clearly, this does not have to be the case. Millions of people know that greenhouse gas concentrations must be dramatically reduced to prevent even more coral reef death and other massive changes in the very conditions that make this planet habitable. Can billions of people take concerted actions to reduce greenhouse gas concentrations? Yes: the hallmark of civilization is the capacity to do great things together that none of us can do individually. But will we choose to do so? This entry was posted in International, Science/Research and tagged coral bleaching, Coral Reefs, Corals, great barrier reef, tipping points. Bookmark the permalink. Both comments and trackbacks are currently closed.